It seems like if you look at a number of authors on Youtube, they are either talking about their last-minute writing goals for this year, they are looking back at the year that has been, or they are looking forward to all the things that they want to accomplish in the next year, I am no exception to this. This year has been a number of things for me in terms of writing as well as personal. But I would rather not go through the long list of those things, because some of them are still hard to understand what happened. But in terms of writing, it has been a year of that for me. Granted, I did not publish as much as I had hoped to do. However, on the other hand, I did work on foundations in some of my stories, this included The Raven Prophecy, The Zodiac Tower, and Ravages of Time. Therefore, I am going to take the time to reflect that this year, in terms of my writing was a year of growth. I focused on building images upon the page with words. I also learned a great deal about how to take my writing up a notch, which I have in turn paid it forward by sharing it will all of you. Sharing with all you has been a goal of mine from the start of this site, and that always makes me happy that I am able to share with all of you something new about the craft of writing. While I have been sharing goodness about the world of writing, there are others out there that tried to strike a nerve within the community by trying to bring down their fellow authors down. This has left a dark mark on your community as a whole, and I hope that we in the new year can see that this trend or behavior make its way down a really dark hole, just let’s watch out for Alice as she makes her way down that same hole. But let’s also leave this darkness in the past shall we and make 2019 a year of rebuilding our community by supporting each other and trying to ruin others by copyrighting words, titles and other just items that are used to make our writings and our projects matter. In other words, let us all get along and get back our job of writing without the added stress that comes from our community. We all have a common gift and we want to share our gift with readers. That should be our main focus and not coming after others within our treasured community. 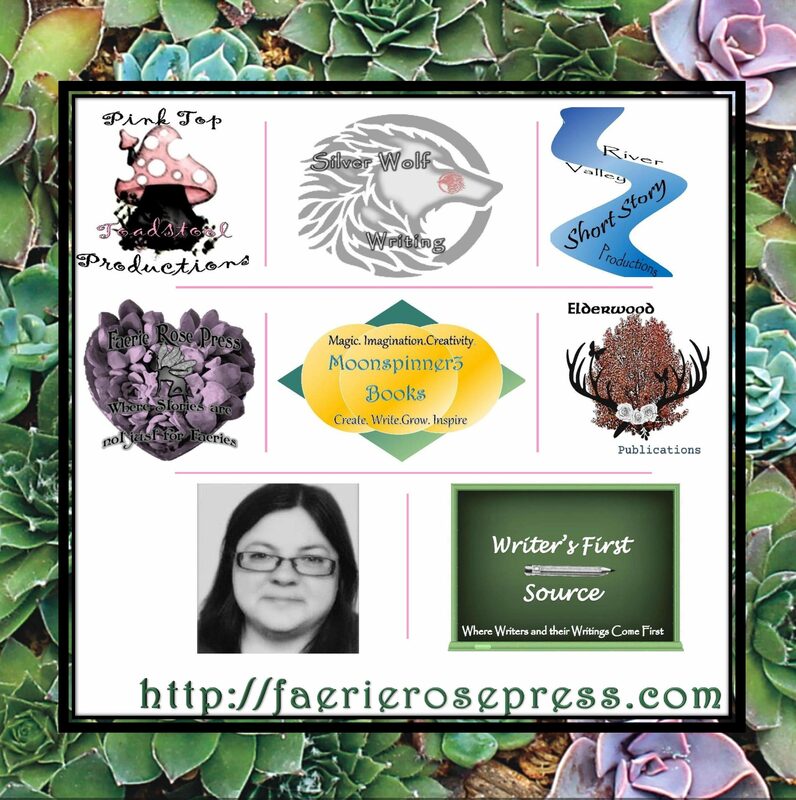 Speaking of community, the community of Faerie Rose Press has grown, for this site now has over 125 followers. Let me put this on the record, that I appreciate all of you that continue to tune in for new content that I post, and this goes without saying it does not matter if this is the first time that you are visiting my site or the hundredth, it is appreciated. I want to thank you from the bottom of my heart, thank you and I hope that you will come back next year for new content. On that note, let me get into what I want to accomplish next year. There are a number of things I would like to make a reality next year. The first of which is telling more stories, whether they be short or novel size. I really want to get more written, edited and published. I also want to share more stories about things will all of you on here as well, such as the stories behind some of my writings. This has been a real struggle for me since sometimes writing can be personal, but on the other hand, how can I inspire others, if I do not share. This is a real matter that has come to pass for me from time to time. But never fear, I will give it a try as I accept the challenge. This is what I have in mind so far in the back of my mind, as items that I want to accomplish next year. That goes without saying that the first project that I have in mind to get to a second draft at the very least is Ravages of Time. Ravages of Time, like so many of my projects, as somewhat taken a back seat to others, but I’m going to try and work on one project at a time. This means for me starting one project and seeing it through until it is done or rather completed in its published form. Ravages of Time is the first of these beauties on the list, so look forward to many posts as I talk about my progress on Ravages of Time. Lastly, my other goal for next year is to read a lot more than I did this past year. Yes, I did not do a good job of following up on my reading list and I have plenty to read. Therefore, I plan to read a bit more than this year and so look forward to seeing posts on what I am reading and I hope to stay on task on that as well. But we shall see. However, will all of this in mind, I am hoping that next year is a better year all the way around. I will close this post by saying, I hope that all of you are enjoying this holiday season and I wish all of you a Happy New Year. But just to let you know, this year has not come to a close and either has Faerie Rose Press, for there is still much to post throughout the rest of this year. I hope all of you have a happy writing day as you create worlds with your words. Have a great day!